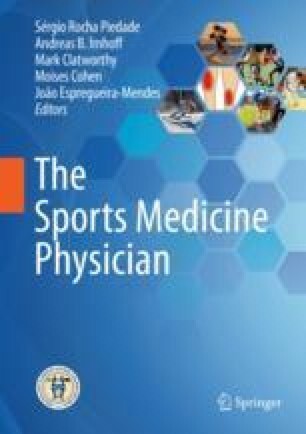 An estimated 1.6–3.8 million sport-related concussions (SRCs) occur annually in the United States , and there has been a rise in the number of athletes seeking treatment for this injury in recent years . A concussion is defined as a transient neurometabolic crisis in the brain that is induced by a traumatic biomechanical force to the head or body. The mechanical trauma to the brain results in a distortion and stretching of neuronal structures allowing for unregulated ionic fluctuations that initiate a series of complex neurometabolic events disruptive to brain function [3, 4]. These pathophysiological changes are not detectable with conventional neuroimaging techniques (e.g., computed tomography [CT], magnetic resonance imaging [MRI])  but can result in a myriad of neurological signs (e.g., loss of consciousness [LOC], posttraumatic amnesia [PTA]), symptoms (e.g., headache, blurred vision), and impairments (e.g., cognitive deficits, oculomotor abnormalities). National Institute of Neurological Disorders and Stroke. Sport-related concussion common data elements. 2017. https://www.commondataelements.ninds.nih.gov/SRC.aspx#tab=Data_Standards. Accessed 27 Mar 2017.